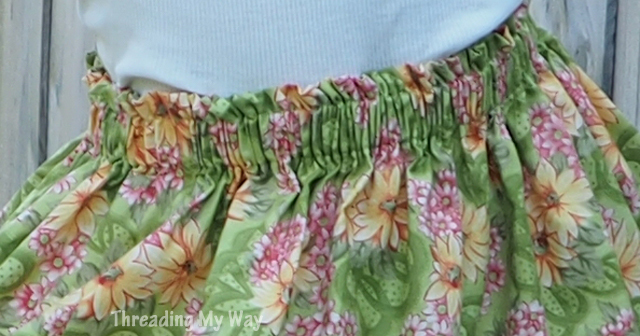 A gathered skirt is one of the easiest garments to whip up, making it an ideal project if you are new to sewing. It's all straight line stitching, with the addition of some elastic. 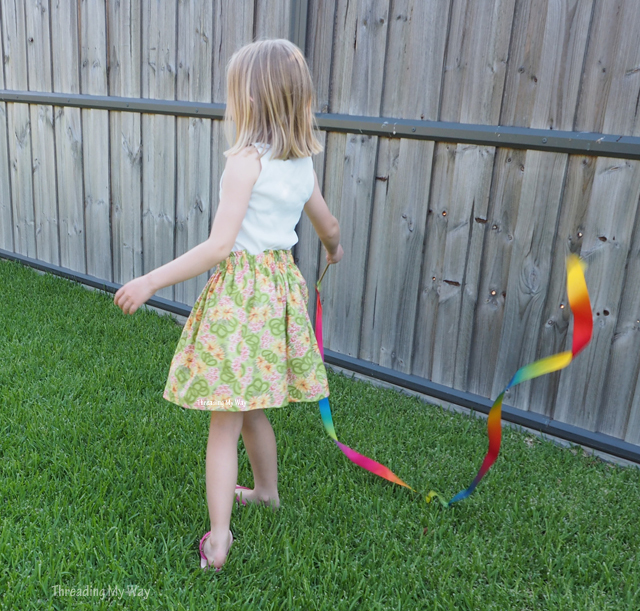 Today's tutorial will step you through the process of sewing a knee length gathered skirt with the all important twirl factor. You don't need a pattern for a simple, gathered skirt. All you need are some measurements. I'll show you how to work out your own measurements, as well as providing measurements in case the child you are sewing for is not on hand. Width of skirt = waist measurement x 2, or for a fuller skirt - x 2½. The skirt pictured is 2½ x waist measurement. If fabric is wide enough, cut 1 rectangle according to the measurements above. 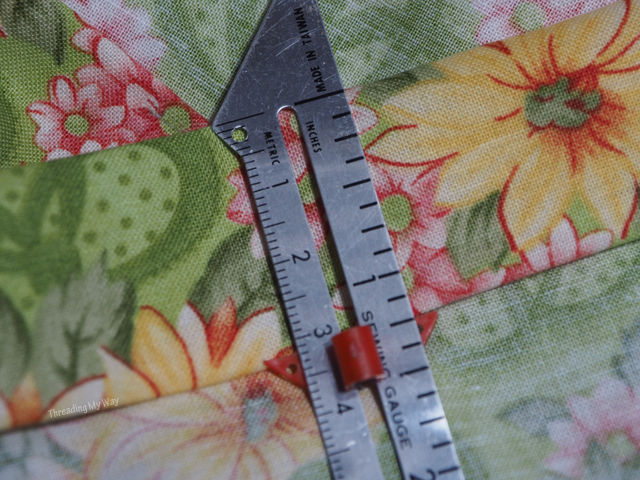 If the fabric is not wide enough to cut the width of the skirt in one piece, divide the measurement by 2, and cut 2 pieces, adding seam allowances. 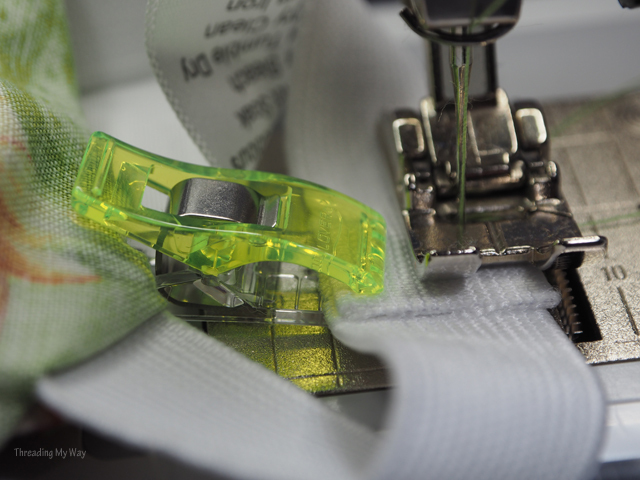 Sew the seam/s, stitching ⅜" (1cm) from the edge along the short sides / back. 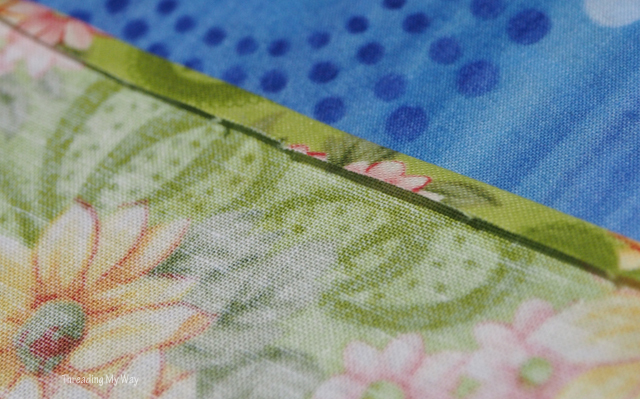 Neaten seam/s with an overlocker (serger) or a zigzag stitch. Baste (hand sew with a long stitch) if you need to hold the hem in place. Stitch close to the hem of the casing - ⅛" (3mm), leaving a 2" (5cm) opening in the middle of the back. 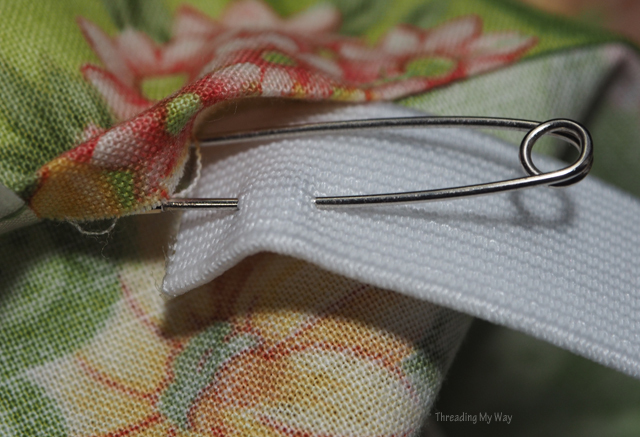 Sew a second line of stitching ⅜" (1cm) from the top edge of the skirt. NB: I stitched ½" from the top edge, but it made the elastic a very tight fit in the casing, making it more time consuming to even out. Next one I sew will be ⅜". Feed the elastic into the casing through the back opening. Leave the other end sticking out of the opening. Spread out the elastic so it is evenly spaced, with the elastic join at the centre back seam. 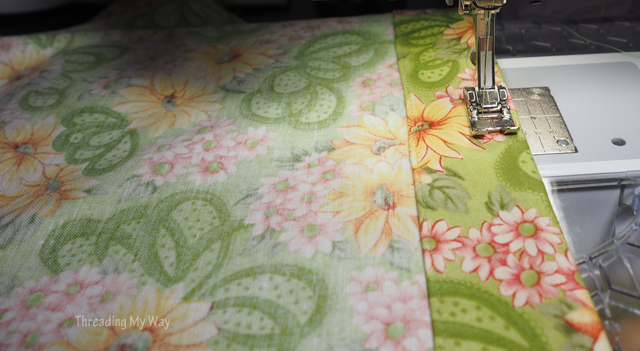 Sew through the elastic and casing at the back seam and/or side seams (stitch in the ditch). This will prevent the elastic from twisting. See Stop Waistband Elastic from Twisting for better photos. Stitch the back opening closed. Turn under ¼" (6mm) and press. That's it - your skirt is finished! If you don't know the measurements for the person who will be wearing the skirt, the following measurements may help. They will produce a reasonably full skirt that is 2½ times the waist measurement, as per the photos. Even if you have been sewing for years, it can still be extremely satisfying to whip up a simple project. There are some days when an easy make is called for - sewing without too much thinking. What's your go to project when you have the need to finish something in one go? Edited to add: This skirt was sewn in support of Skirting the Issue, and will be making its way to Angels for the Forgotten, a group in NSW, Australia, providing tangible support to help change the experiences of those in crisis situations. They assist children and families who have experienced the foster care system, domestic violence and homelessness. I remember making similar skirts for my grown up daughter, and the best thing is no one will have one the same. I also made her a very simple sun dress when she was a toddler, basically a tube of fabric with several rows of shirring elastic stitched at the top and plain straps added. Wish I had a pic. Such a great tutorial. 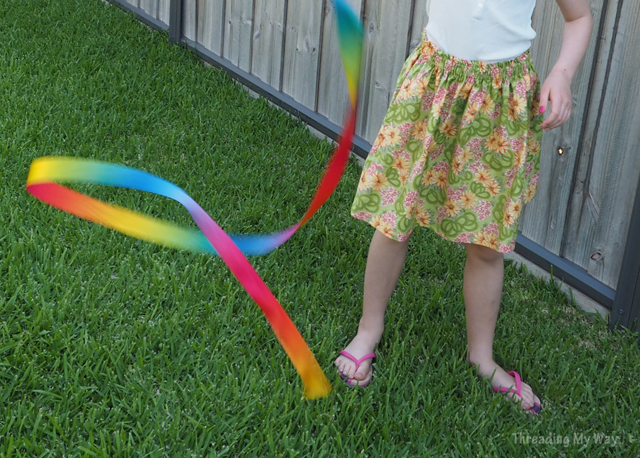 I bet your daughter loves her twirly skirt! Thanks, Caroline. Can't beat a twirly skirt. 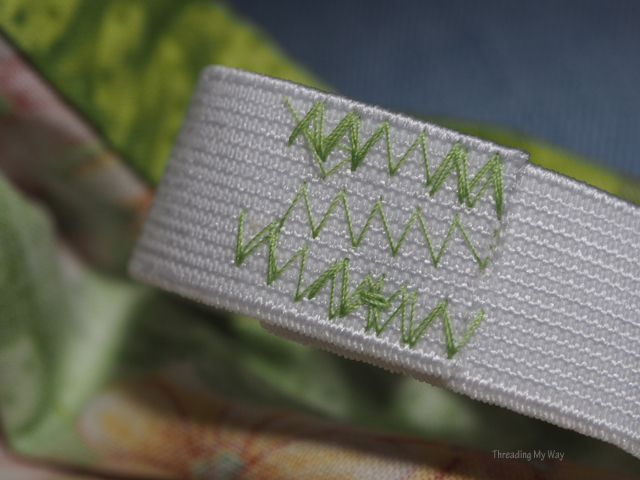 Such a great tutorial, this is so similar to the first thing I ever sewed for myself. I didn't do the stitching that stops the elastic from twisting though at first and I remember my nan suggesting exactly the same method that you do - great minds think alike! I had lots of these skirts as a kid, too, Carolee. My daughter has been asking for me to make her a couple of skirts, so this tutorial is just perfect. Thank you for sharing at The Really Crafty Link Party. Pinned! I'd love to see pics if you make a skirt, Teresa. So cute, Pam! 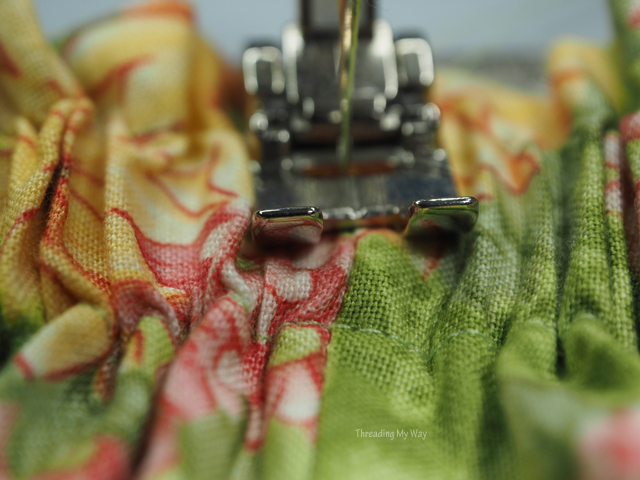 I used to sew most of my girls' clothes ;) Thank you for sharing @Vintage Charm!